The National Consumer Assistance Plan (NCAP) has now been in effect for about a month. Many of you have heard me speak about the NCAP changes — they are ongoing and mostly for the positive. At the core, the NCAP is about the three major credit bureaus taking measured steps to improve quality and accuracy. All new and existing public record data used by Experian®, Equifax®, and TransUnion® will be held to the new NCAP standards – so this effectively impacts everyone performing tenant screening. Announced September of last year, NCAP establishes new standards regarding personal identifying information (PII). The implementation of these standards will occur over a three year period, with full implementation expected by March 2018. What Does this Mean for You & Your Tenant Screening? The impact varies by public record data type. The bureaus essentially anticipate no change to bankruptcy public record data, because bankruptcies are typically filed with the minimum consumer ID information like SSN, passing requirement #1 above. You will notice some changes here. 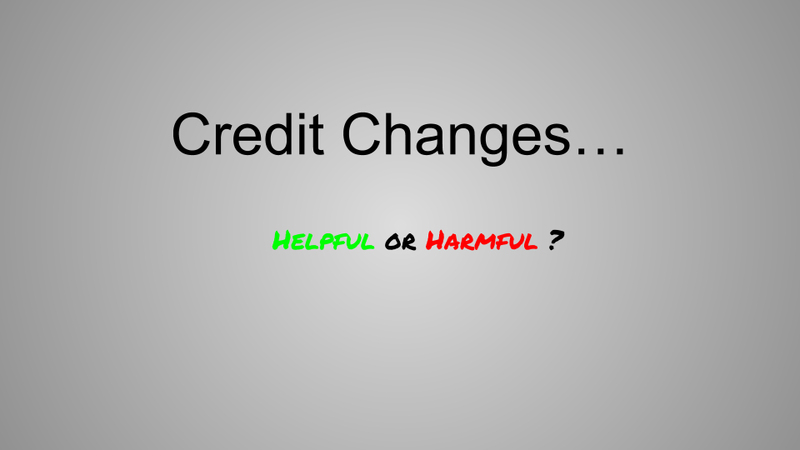 While estimates vary by bureau, all anticipate a noticeable change in what will be reported on the credit section of a background report. Basically, be sure to order eviction data and rely less on a basic credit report as your means of tenant screening. Feel free to reach out to us and/or your screening provider if you want more details. If you are already ordering eviction data and performing solid, comprehensive screening, including employment and landlord verifications – you may not notice or need any changes. Consumers who obtain their annual free credit report and dispute information on it will also be able to obtain a second free credit report without having to wait another 12 months. Fewer false positives and stale data — Screening applicants with common names will be more accurate thanks to the data requirements above, and only data that is routinely refreshed will be reported. All this leads to more accuracy. Look for these changes and feel free to reach out if you have any questions. While it may seem frustrating to be sure you order eviction data, it is good practice, and you will experience other positive changes both as a real estate investor, and as a consumer.